Temples of mercy are exactly what the Shriners hospitals have been to thousands of children and their families. Since 1919 when the Imperial Council Session voted to start the first Shriners hospital, until now, the Shriners have dedicated their spirit, time, and talent to this noble cause. What started as a desire to help others came to fruition in 1922 with the first Shriners hospital in Shreveport, Louisiana. At that time there was an assessment given to each Shriner in the amount of $2.00 per year to help pay for the new hospital. By 1930, thirteen more had been built. From that humble beginning, the Shriners have spent $8.2 billion to operate the hospitals and $1.76 billion for construction. Today there are twenty-two hospitals in all, eighteen orthopedic, three burn centers, and one with orthopedics, burn, and spinal cord injury units. Last year, $721 million dollars was spent for operations and this year alone the Shriners will give $37 million for research. 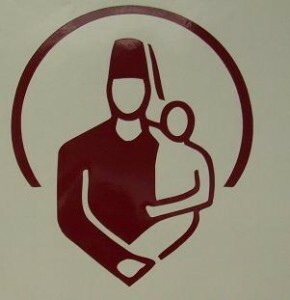 What is so amazing about the Shriners hospital is not that they have helped millions, nor is it the billions of dollars they have spent to do it. What is truly amazing is that they do it all free of charge to the children and their families. Their maxim,” no barriers to care,” compels them to do this regardless of financial status or whether a family is affiliated with a Shriner. All that is required is that the child be under 18 years of age and that the doctors agree that the problem can be helped by the Shriners hospitals. If these simple requirements are met, everything will be completely taken care of by the hospital. With singleness of mind and one purpose, “to improve the lives of children,” the Shriners have set the standards for all charities and philanthropic organizations to follow. Those men in funny hats and those crazy clowns marching in parades have managed to touch the lives of millions in the past 85 years. With their undying loyalty to the Shriners organization and their undying desire to help others, they are sure to touch the lives of millions more.